The already great Afghanistan '11 just got even better! Afghanistan ‘11s latest DLC, Royal Marines, allows you to lead British forces through one of the largest conflicts of our time. After the fantastic Vietnam ’65, Every Single Soldier and Slitherine developed Afghanistan ‘11. Assuming you already know the inner-workings of the tough but excellent Afghanistan ‘11, I’ll be talking about its new DLC: Royal Marines. As the name implies, this version deals with the British forces in the war in Afghanistan (the second-most number of troops supplied by one country during this conflict). As a quick recap, Afghanistan ’11, like it’s Vietnamese predecessor, is not a mammoth ‘Panzer versus Sherman’, thousands-of-units slugfest. Even though I enjoy the hell out of those. This game is on a much smaller, unit-sized scale dealing with COIN (counterinsurgency) strategies — which are endeavors to contain and defeat insurgency, hopefully at the source level. You’re trying to use information, violence, politics and subversion to win over the population while also subduing the rebellious, insurgent efforts. This FOB has seen lots of action. The new United Kingdom forces and campaign cover Operation Ptarmigan to Operation Ghartse Dagger — which is ten new scenarios. The new vehicles are the highlight for me. They are sort of U.S. equivalents, sort of not. Plus, there are some additions as well. The Panama is like the U.S. Husky, it’s a minesweeper and is extremely important. The U.K. Terrier is like the Buffalo — it’s your builder for everything from Forward Operating Bases to waterworks. The Jackal is new-ish. It’s like the U.S. MRAP, with one extra action point, but less IED resistance (down from 60% to 25%). Speaking of Forward Operating Bases — they have a capacity now. If you end the turn over the cap limit, it’ll cost you Political Points for every unit in excess. The two major, completely new units are the Warthog and Scimitar. The Warthog is an anti-enemy, troop and supply transport with one exceptional feature: it can traverse mountains. This vehicle completely changes the way you can plan and execute different strategies. The Scimitar is the first ‘heavy’ vehicle in Afghanistan ’11. However, much like the Apache helicopter, it’s meant to be used at range (five, just like the helo). I use it like a moving artillery unit as infantry/vehicle support. It’s very nice to soften, or even eliminate, the Taliban before any close combat. One of the other great additions are civilian vehicles. At the very least, they can be a nuisance because they might be occupying hexes that you want to reach. However, they can also contain car bombs. They are multi-colored so you don’t know which is a bomber or if one’s just carrying a family across the Afghanistan desert. I did check to see if I could randomly pick a civilian car and bomb it. No, I can’t do that. For this, I’m glad because I’d most likely guess wrong 99.9% of the time, costing me PP, Hearts & Minds, or both. Some other differences to Afghanistan ’11: The intelligence gained from villages has changed a little bit. Now, it’s more randomized — both in the Intel gathered and how long it remains. If you have enough H&M in a village, you’ll get a free Afghan Police unit. These are very handy as they can gather village Intel without the need to have an infantry unit with it. They can also help with the new roadblocks. Since you now have civilian cars, you can set up roadblocks to search them for a car bomb. Finally, if you have an H&M score of seventy or more, for four turns in a row, the ISAF handover process happens automatically. As much as I’m completely and utterly hooked on Royal Marines, there are two things I’d like to see. First is the ability to save at any time. It only saves when you hit the ‘End Turn’ button. Later in the game, when I’m pushing thirty to forty-plus units around — life happens. The phone, doorbell, cats, dogs, kids, phone again, etc. all demand immediate attention — sometimes, for a very long duration. If I’ve done anything that turn, it’s all completely lost if I have to shut the game and/or computer down. Jackal, both moving and loaded. Second is a clickable, overall Order of Battle. Even though I rename all of my units, a lot of times I have to hunt for them. This would be a nice QoL addition. Where is that fifth Panama? 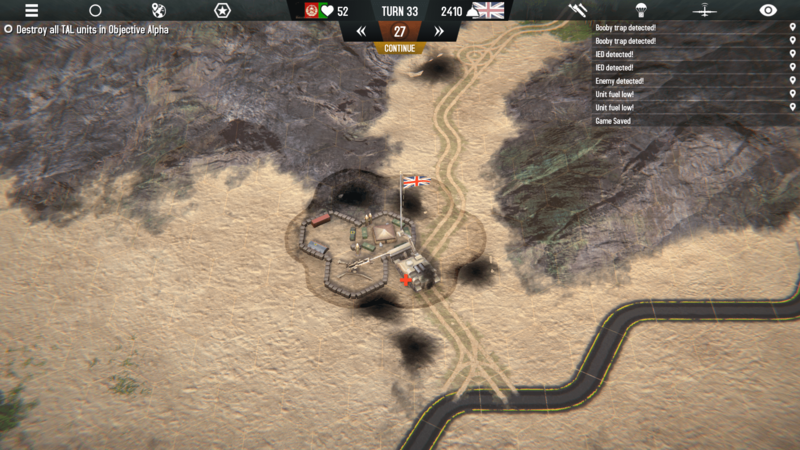 Afghanistan ’11: Royal Marines took an already great game and really ramped it up. All of the additions and changes greatly added to the immersion of the game. Only speculating here, but I believe they also made it tougher. It seems like there are more of those sneaky bastards lurking around — and they really like to place IEDs. Just because ‘that part of the road’ was clear last turn, definitely doesn’t mean you can calmly run a supply truck through there ‘this’ turn. It’ll make you pee (and probably curse a little) when they shoot down your 3000 PP Chinook, loaded or not. Finally, the skirmish, as well as the sandbox setting is every bit as fun as the campaigns. I currently have one of each going and genuinely plan to play all of the campaigns. 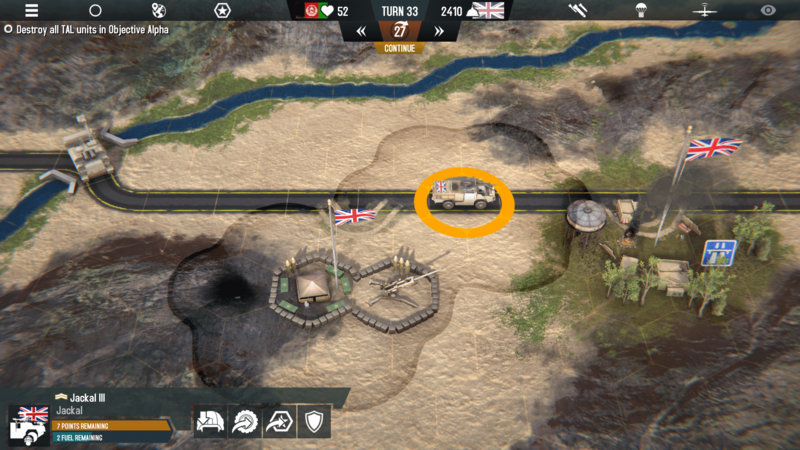 This is an excellent, squad-based, turn-based strategy gem — that just got even better. Overloaded FOB. Move something or pay the price. Taliban right by my HQ! Afghanistan ‘11: Royal Marines is available now for Windows PC.